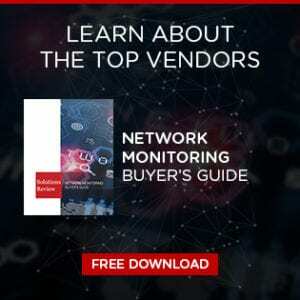 Gartner’s 2018 Network Monitoring Magic Quadrant listed the top 22 vendors in the network performance monitoring space. There are certainly more than 22 quality vendors in this market, so what happened to the honorable mentions? The inclusion criteria are simple. The first is “the ability to monitor, diagnose and generate alerts for: network endpoints, network components, and network links.” Obviously, this is the baseline criteria for inclusion; it would be unusual for any NPMD vendor to ignore these qualifications. Some of the product-related criteria are more preferential than definitive offerings. Such as the ability to support certain scaling options. Smaller enterprises might not have interest in a wide array of scaling options. Non-product related criteria, such as product revenue, can also be grounds for exclusion. These criteria also included customer thresholds for vendors to meet. This keeps smaller or less focused vendors out of the magic quadrant, but this shouldn’t shy anyone away from working with smaller vendors. The biggest takeaway from the inclusion criteria is that it should not deter anyone from researching the vendors in the honorable mentions category. Some of the product-related criteria might not be of relevance to certain enterprises. We’ve included many of the honorable mentions in our free buyer’s guide because we believe in the quality of their product. Gartner is very strict about their inclusion criteria, but these criteria should be looked at as Gartner’s market preferences rather than a final definition or endorsement. The following vendors were excluded from Gartner’s official magic quadrant: Dynatrace, Empirix, Endace, FixStream, Kentik, LogicMonitor, Microsoft, NETIS SYSTEMS, Nyansa, Splunk, and ThousandEyes. 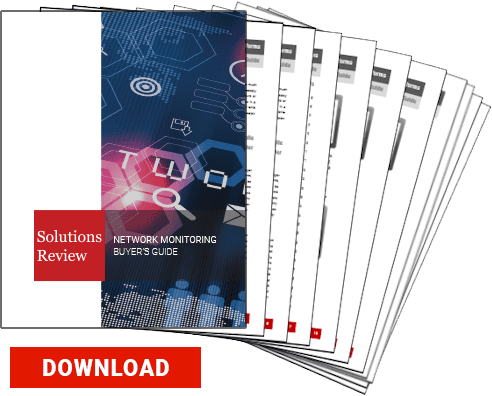 As I mentioned, many of these vendors are included in our free buyer’s guide, their exclusion from Gartner’s Magic Quadrant should not deter interest from them. For example, ThousandEyes offers complete network visibility and the ability to pinpoint complex problems anywhere along a network path. Their offerings are not inferior because they were not included, specific criteria weren’t met, and this isn’t necessarily a bad thing. Gartner can’t decide for you. They’re a research tool just like any other research tool (except they’re expensive). Every vendor is different and meeting Gartner’s criteria shouldn’t be their goal. Any vendor’s goal is to bring you the best product possible. Beyond the inclusion criteria, Gartner has their evaluation criteria that place vendors in the Magic Quadrant. It’s unfortunate we won’t be able to see where these honorable mentions would be in the quadrant, but that shouldn’t deter you from researching their offerings. Ability to execute is related to product or service, overall viability, sales execution/pricing, market responsiveness/record, marketing execution, customer experience, and operations. Product or service specifically focuses on analytics, real-time monitoring, ease of deployment, etc. Gartner defines completeness of visions into the following subcategories: market understanding, marketing strategy, sales strategy, offering strategy, business model, vertical/industry strategy, innovation, and geographic strategy.